Jace of Two-9 has worked up some solid momentum behind his weekly release series. Last week's submission, the glittery, summery "Lil Tape," was particularly nice. This week, Jace invites the young Swede Yung Lean and Eardrummerz producer Ducko McFli to help him slow things down on "My Boys." On "My Boys," McFli crafts a Rodeo-esque beat that nicely encapsulates the thrilling, corrupting power of mobbing with the squad. Jace and Lean rap lecherously about "getting throat" and other similar activities. 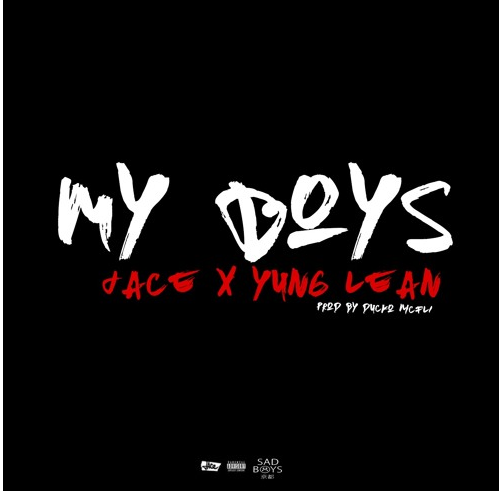 Listen to "My Boys," check out Jace's full catalogue of weekly releases here, and read his HNHH interview here.